Nowadays, it seems like there’s no human being that is perfectly content with their reflection in the mirror. Negative self- and body image or a more serious condition – body dysmorphic disorder – used to be suffered mostly by teenagers and lasted no longer than this turbulent life period. However, as we evolve for the better in many life aspects, this struggle only seems to accelerate as it now includes all ages and genders. Modern life icons and digitally enhanced hyper-reality are taking a toll on our confidence as many would argue; however, there are deeper-rooted issues that need to be considered before blaming the social media. Anyone who has struggled to accept their appearance knows that it takes more than simply quitting Instagram. Therefore, we decided to take you on a more systematic approach towards resolving these issues. Here are 5 steps to help you adopt a healthier and more concrete positive perspective towards your body and mind. As with any deep-rooted problem, it is crucial, and often most difficult to discover what caused it. For most of us, it started way back in our early childhood, in an almost innate ability to be liked and loved. Our earliest memories of interaction with humans include comments about our looks, whether we were praised or not. For some, it had to do with bullying and name-calling at school, or by peers at the playground. 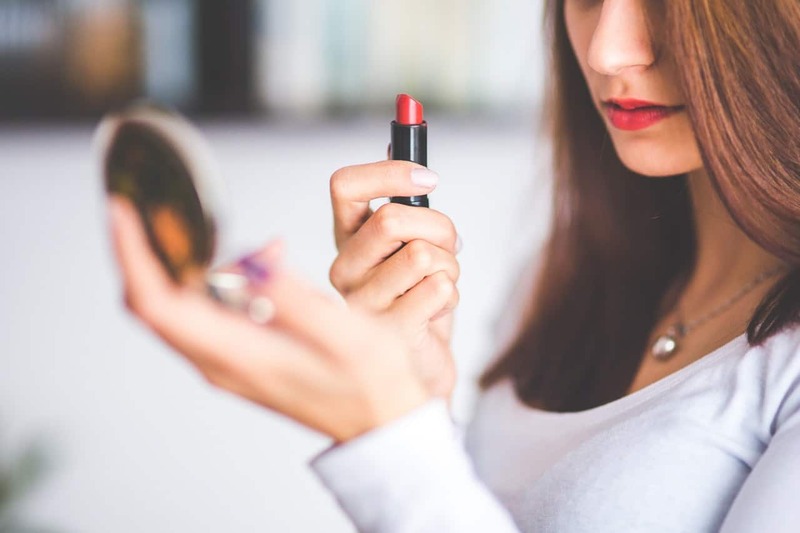 There are a great number of situations that could create negative self-beliefs, and even social media and the digitally created beauty standards often lead to problems with self-confidence. Whatever the case, the only possible way we could resolve these issues for good, is to face the real cause and to analyse the people and the situation. When we understand the reasons for certain situations, moving on and making further steps becomes much easier. Dealing with body image issues in a healthy way is in no way easy nor quick. Another step also requires a lot of mindfulness and patience in order to truly overcome this painful struggle. This step has to do with approaching the problem in the right way. Having negative body image can be extremely difficult to cope with on a daily basis; however, approaching the issue from the perspective of anger, pain or self-pity, only perpetuates the trouble. Only once you truly accept the state of your looks and emotions and make peace with it will you be able to start with positive changes that stem from love for yourself, with a healthy approach towards creating a better life. Continuing from the previous steps, meditation comes as one of the most effective habits that can help you heal within. In order to stop the negative mindset, you need to monitor it as it appears. By meditating regularly, you will be able to recognise the self-limiting thoughts in the early stages. Moreover, you will be able to understand the cause of them. In this way, instead of spending months in the gym, you will first be able to cure the cause of the negative body image. If you are dealing with any type of challenge concerning your physical appearance, you probably hear from your friends and family that you should do more exercise, eat healthier and similar common advice. There is no doubt that a complete change in your lifestyle will result in a healthier and fitter appearance, but benefits of more structured and positive life choices will cause numerous improvements in your mindset as well. Getting up earlier, eating healthy, staying active, and surrounding yourself with a positive peer group can help you have a clear mind with less space for negative self-beliefs. The final step has to do with situations when a real physical issue gets in the way of how you see yourself. If there is, for example, excess body fat in certain parts of your body that for some medical reason won’t go away even with all the workout and dieting, in those cases visiting a clinic and getting a liposuction is the next step. Acquiring a positive body image means thinking and doing what is best for your body and your mind. In cases of a stubborn or unhealthy condition, it is completely justified to make necessary corrections in order to continue our journey of care and love for ourselves.